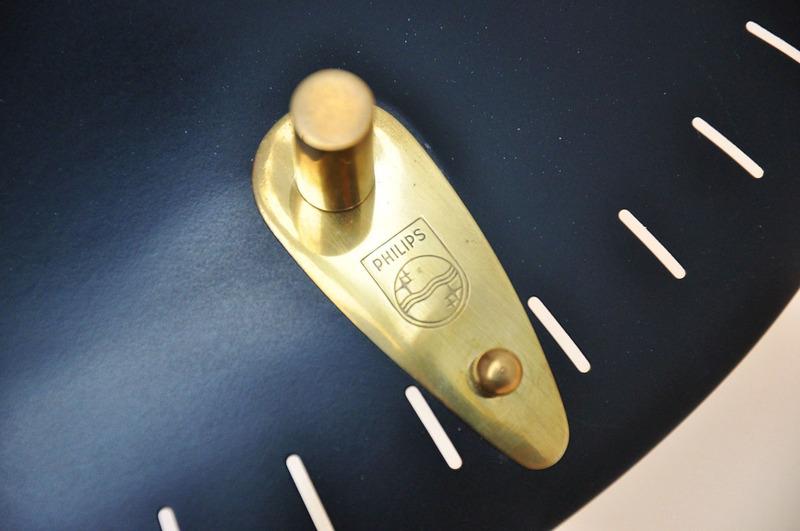 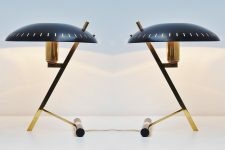 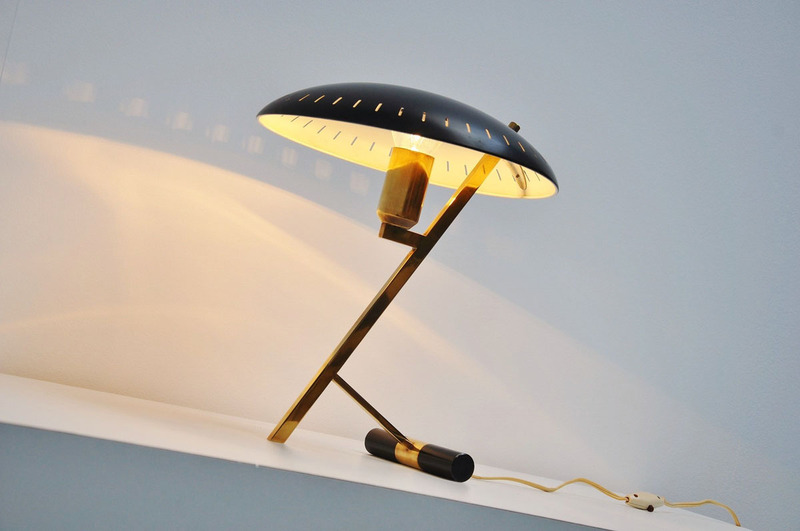 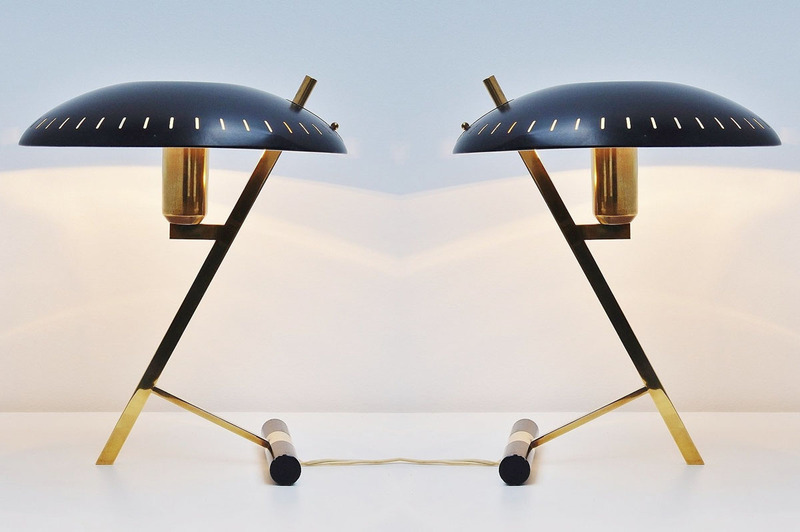 Iconic desk or table lamp designed by Louis Christiaan Kalff for Philips and made in Belgium 1955. 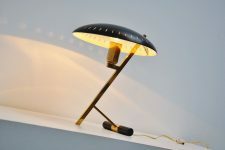 We have several of these lamps available all in good and clean brass condition. 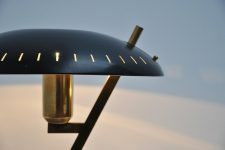 We also have some of the other models available with more edged shades. Ask us for other options.